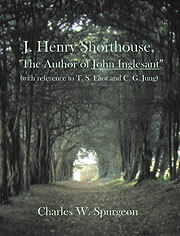 J. Henry Shorthouse, "The Author of John Inglesant"
When J. Henry Shorthouse (1834-1903) published John Inglesant in 1881, he contributed a unique synthesis of Anglo-Catholic sensibilities to the enduring legacy of the Oxford Movement. Although his "philosophical romance" has been acclaimed "the greatest Anglo-Catholic novel in English literature" and "the one English novel that speaks immediately to human intuition without regard to the reader's own faith or philosophy", his most enduring contributions are the "religion of John Inglesant", an Anglo-Catholic synthesis of obedience and freedom, faith and reason, and the sacramental vision of "the myth of Little Gidding". The popular success of John Inglesant transformed the quiet, middle-class, Birmingham manufacturer into "the author of John Inglesant", apologist for the Church of England. Reinterpreting his "English saint", Shorthouse experimented with feminine points of view and developed his philosophical themes into "spiritual romances", analogues of Christian experience and psychological studies of Christian imagination. In succession he offered the public: The Little Schoolmaster Mark (1884), Sir Percival: A Story of the Past and of the Present (1886), A Teacher of the Violin (1887), The Countess Eve (1888), and Blanche, Lady Falaise (1891). Afflicted with a lifelong stammer, "the author of John Inglesant" proved himself a master of cadenced rhythms and "enspiritualised" prose in quest of "the great musical novel". Delineating parallels between sixteenth-century and Victorian England, Shorthouse integrated Quietism with Platonism into a religious aesthetic, a sacramental vision of "the Divine Principle of the Platonic Christ". Studied chronologically, Shorthouse's transition from Quaker to "Broad Church Sacramentalist" provides informing comparison with T. S. Eliot's conversion from Unitarian to Anglo-Catholic, as his myth of Little Gidding informs the historical imagination of Eliot's Christian poetry and dramas. The religious and developmental nature of the work of both artists affords analogies with C. G. Jung's psychology of Individuation. Born in Indianapolis, Dr Spurgeon received his B.A. from Pepperdine University in 1968, M.A. from Loyola Marymount University in 1971, and then earned his PhD from the University of London in 1995. A professor of English at Marymount College since 1985, he spends his summers as a volunteer at Westminster Abbey. 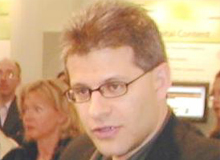 Goldhagen's Ph.D. thesis formed the basis of his book "Hitler's Willing Executioners," which was written largely as an answer to Christopher Browning's 1992 publication on the Holocaust, "Ordinary Men." Much of Goldhagen's book was concerned with the same Order Police Battalion 101 that Browning had studied, though with very different conclusions. It won the American Political Science Association's 1994 Gabriel A. Almond Award in comparative politics and the Democracy Prize of the Journal for German and International Politics, and was reported by Time mamgazine as one of the two most important books of 1996.